Yet another one-piece work by me. 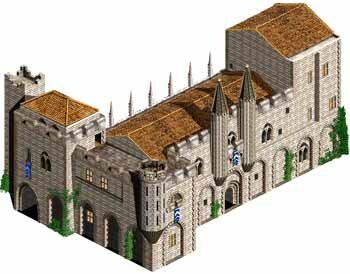 I use windows from Carcoma Spanish Wonder and the rest are from Italian buildingset / Age of Chivalry building set. Big size, about twice the length of normal wonder. It does not represent the whole palace, but rather the facade of the palace. The file contain a bigger preview.